Here is a tragic Super Power drama. 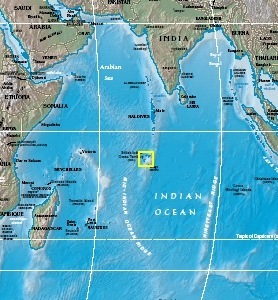 Mission: Superpower build up and militarization of Indian Ocean. Location: Chagos Archipelago, a group of 65 tiny coral islands under the control of British Indian Ocean Territory. The Chagos archipelago is located in the Indian Ocean in between Africa and Indonesia closer to the Equator. Diego Garcia, the largest island in the group is of only 17 square miles. secretly leases out Diego Garcia for 50 years to US on a rent of one dollar per year in exchange of heavily discounted Polaris nuclear submarines. the US takes over Diego Garcia on a condition that the Chagos archipelago would be handed over in uninhabited state. to facilitate US military operations, around 2000 Chagossians were evacuated forcibly and were settled in the slums of Mauritius or Seychelles. 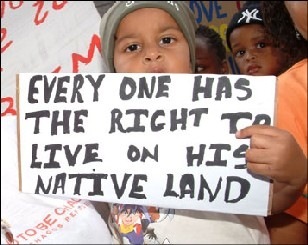 Since then the Chagossians are fighting for their rights to go back to their island home land. Even UK court has given their verdict in favour of Chagossians. But who cares ? The struggle goes on. 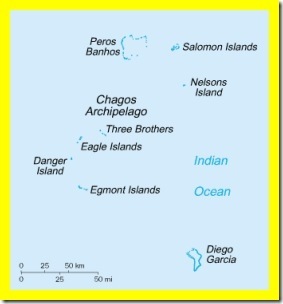 Here is the map of Chagos archipelago. Surprisingly Google Maps are not able to give any details of the islands. For more photographs of the islands, click here. What UN Human Rights group is doing ? 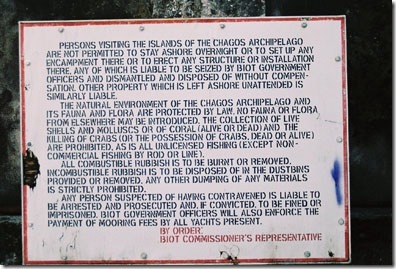 The Chagos islanders have lost their legal battle to return home. The House of Lords, by a 3-2 verdict, have upheld an appeal from the Government and ruled that orders banning the inhabitants of the Islands from ever returning had been lawful. Read more from Telegraph. Next post: How to Identify Ships Pipelines ?